Old CDs are today nothing but a redundant item in your shelf. Your old CDs have become a thing of bygone age as the digital downloads and streaming devices have changed the way we listen to the music. CDs are one of those things that we stow even if they are of no use. 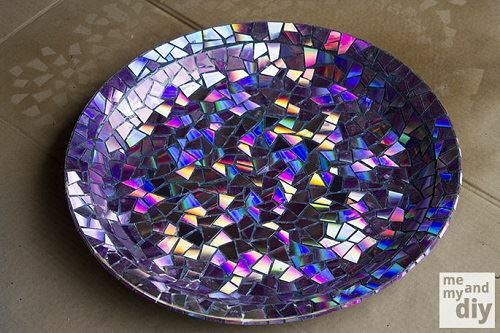 So, let’s just not discard your old CDs and instead turn them into something beautiful and artistic. 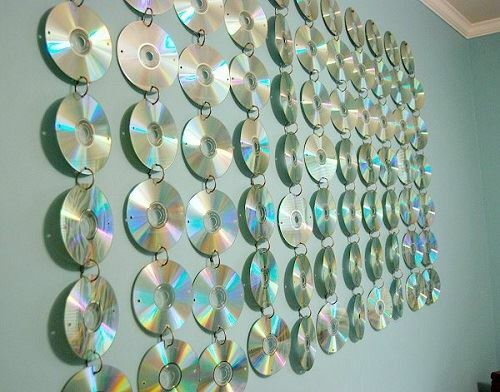 Here, we share some impressive DIY ideas to use your old CDs. Don’t wait! 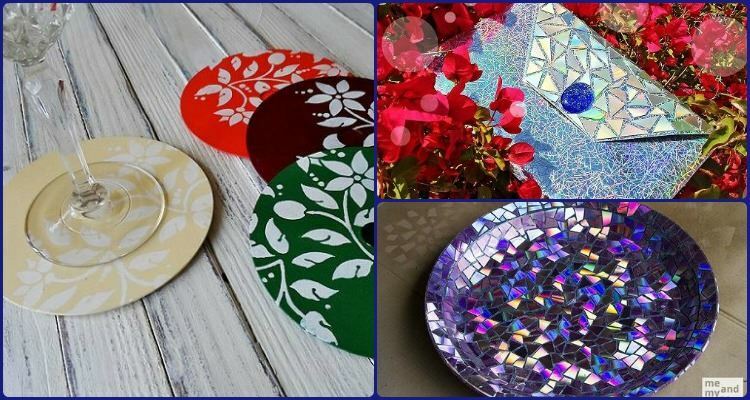 Turn your CDs into works of art with these amazing DIY projects! 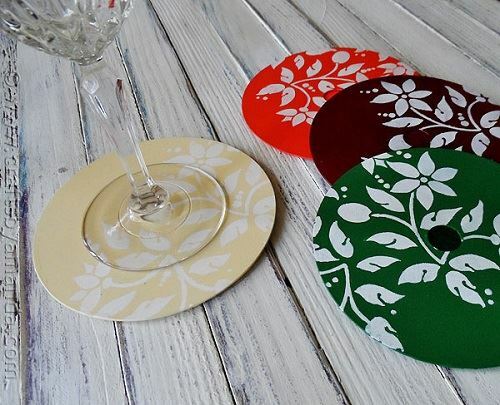 These beautiful coasters from your old CDs is a perfect project to try. 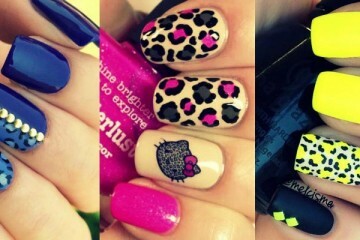 Easy and cool! 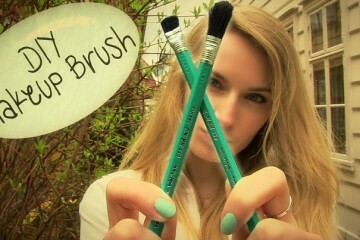 Get the complete tutorial at Crafts by Amanda. This mirror frame looks ritzy and simply fits into any kinda home decor. 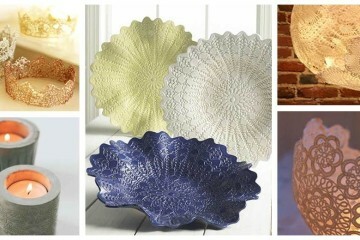 You can even go for ovals or rounds or just any arbitrary design and make your own classic mirror. Get the complete tutorial at Intuition Physician. My favorite project! With this easy DIY you can help your feathered friends beat the heat. 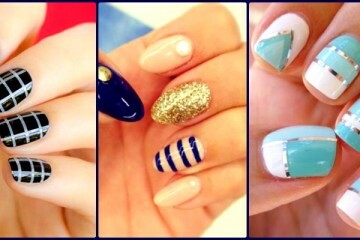 Get the complete tutorial at Me and My DIY. 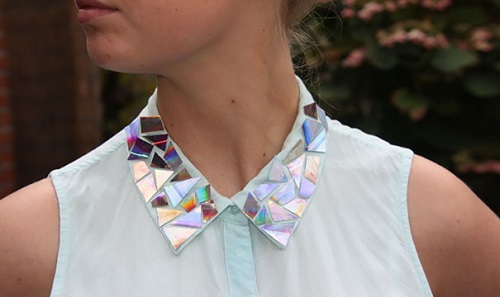 This is so pretty and it will hardly take minutes to DIY this chic collar. You can also cut big triangles and place them on your collar if you don’t like random shapes. If collar isn’t enough then try this statement necklace. You may also like to check other beautiful DIY statement necklaces. Get all the tutorials here. 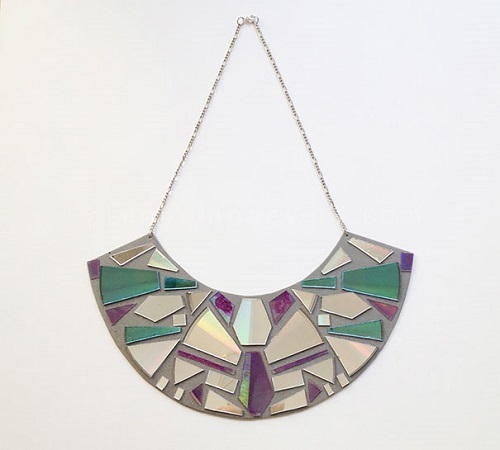 Get the complete tutorial for this statement necklace at Anna Evers Blog. This clutch from old CDs is an absolute fun project with obviously a superb end product! 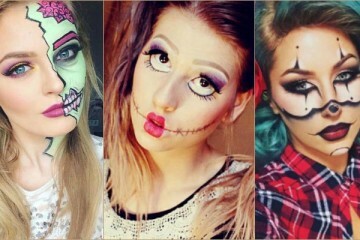 Get this video tutorial by Evelina here. 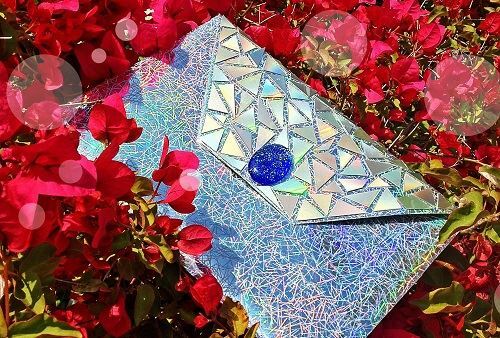 You may also like to know how to make stylish Emilio Pucci inspired beaded clutch in few easy steps. 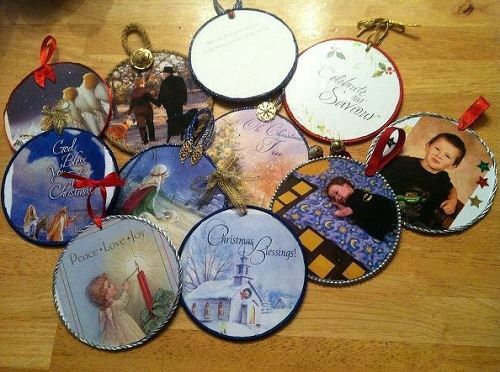 Instead of cards gift your friends and kids these cute DIY ornaments. They will love it for sure! Get the complete tutorial at Hometalk. Again a cool idea to decorate wall of your teen’s room. 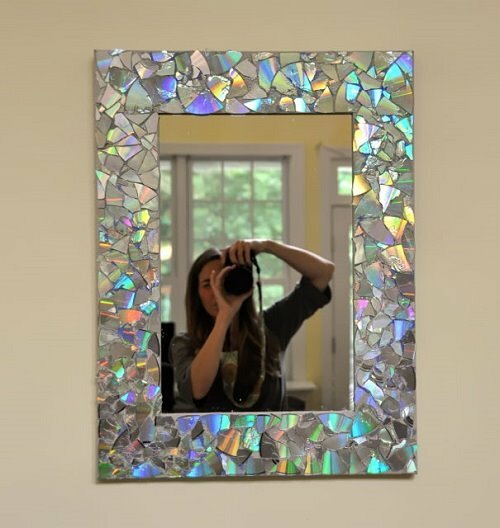 You can keep it as it is to reflect the light or you can cover all the CDs with photos or any other design. Get the complete tutorial at Creative Me Inspired You. 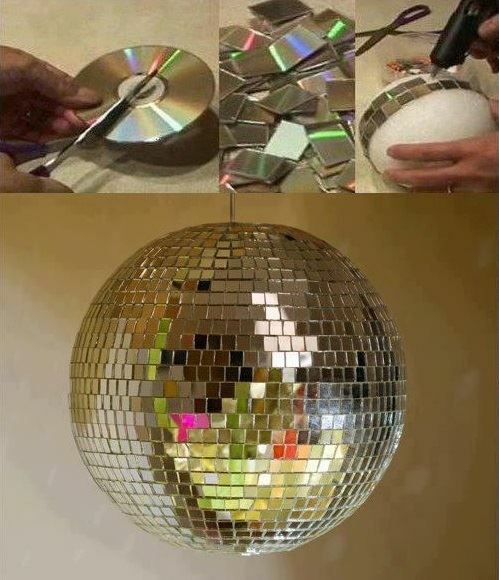 Just cut down your old CDs into squares or rectangles and stick them with the glue to the ball of your choice and its done. Such a fun and easy project with no mess! Have a lot of old CDs? 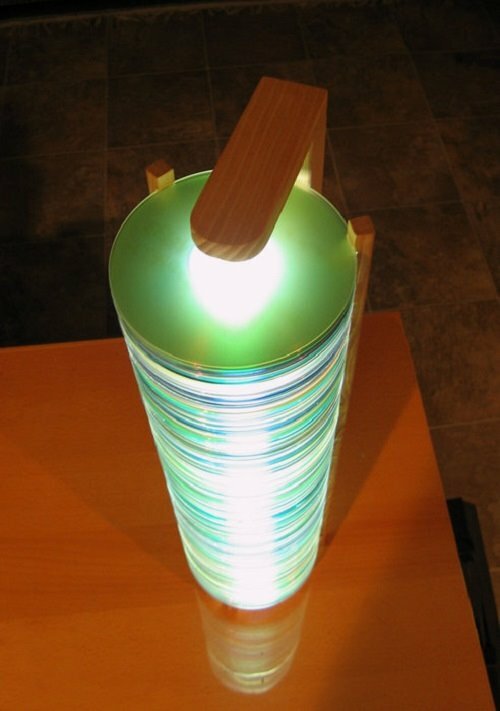 Stack them up to make a table lamp. In this project you have to get things done from outside too. But that’s fair enough if you want to get such fine finished project. With these old CDs make cute mozaic flower pots which will add to the beauty of your garden. 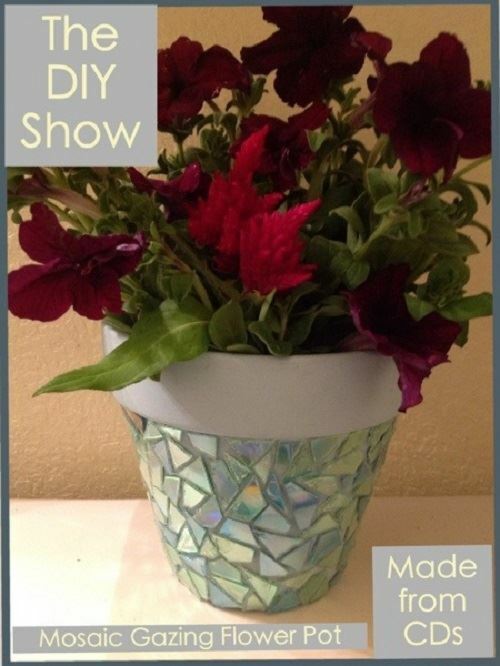 Get the complete tutorial at The DIY show. 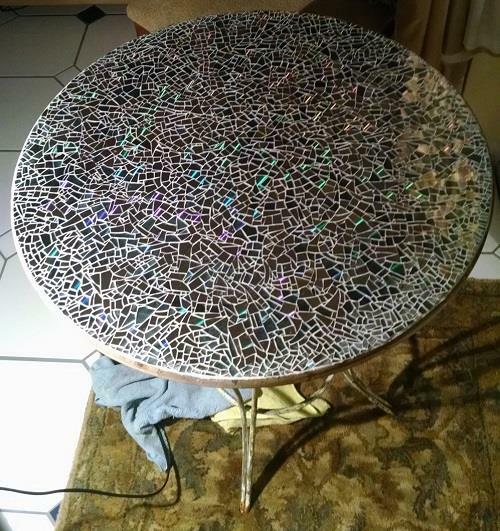 If you want to try a bigger project, you can also DIY this mozaic table. 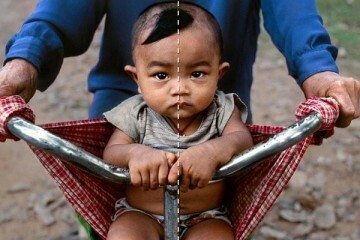 Get the complete tutorial at Imgur. Hope you like the ideas. So, which one will you be making this weekend?